Can Brands Win Back Consumers Trust? Studies show that the size of your brand or corporation will not directly influence how trustworthy you appear to consumers. Out of 645 participants, 96.6% do not trust, feel connected or really think about big brands or corporations. Your branding efforts are wasted on 24.8% of consumers that do not feel connected to your brand. Of the participants, 40.3% actively do not trust big brands, with only a shocking 3.4% that do. In order for any brand to be successful, they must have a trusting relationship with their audience. This demonstrates to the consumer and other potential consumers, that the product or service they are buying will live up to expectations. “pre-eminent factor, which maintains the relationship between brands and consumers” states Tom Blackett, group deputy chairman of Interbrand. Nowadays, brands are not only expected to engage their audiences in the dynamic modern-day marketing world but are also expected to earn their trust, which is made more difficult by an audience that does not wish to be directly advertised to. If your consumers cannot get a sense of where you have come from and how you have progressed they will struggle to understand what your brand is about. You will lack reputable testimonials that will convert that 3.4% of consumers that trust your brand or corporation into 30.40%. The modern-day audience is very mindful of when they are being advertised to as mentioned in our article ‘How To Engage Gen Z’, they do not like to be sold to and are becoming far more selective about the material they will watch. This will have a direct correlation to how much they trust you. 31.5% of consumers do not really think about big brands or corporations. If you are continuously intruding and disrupting your consumers, they will not engage, not trust and as a result, choose not to think about your brand. Subtly selling a product or service through offering value, without the expectation of gaining something in return, is a far more productive way of gaining your consumers’ trust. 88% of consumers state that they trust online reviews to the same standard as a personal recommendation. So, wherever possible, speak with authority and let the numbers and client testimonials you have earned speak for themselves. If 40.3% of consumers do not trust big brands or corporations, it leads to question whether these brands are effectively telling potential consumers about people's previous experiences. Knowing that others have received satisfaction from your product or service will go a long way in keeping consumers and gaining new business. 24.8% of participants do not feel connected to the brand or corporation. Telling human stories are a great way to connect and build a brand reputation which creates a relatable platform for your audience. As a company, CLICKON aims to create ‘real connections’, with storytelling acting as the driving force behind all content. Stories that allow audiences to be connected with and engaged. 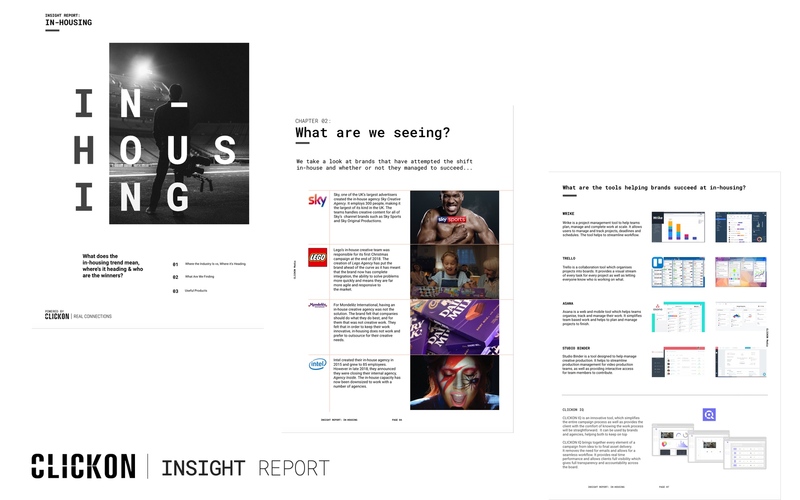 What we have recognised is that brands need to tell the raw, human stories in order to allow audiences to relate - we inspire not interrupt. Is An Audiences' Self-Perception Affecting How Brands Target Their Demographics?